SUNNYVALE, Calif., Sept. 06, 2018 Ondas Networks Inc., a leading supplier of private licensed wireless data networks for mission-critical industrial markets, today announced that its CEO, Stewart Kantor, has been selected as a speaker for the SCADA Technology Summit 2018. The two-day conference will take place on September 12-13 at the Double-Tree in Oak Brook, Illinois. The SCADA Technology Summit is a leading global event, bringing together SCADA experts to discuss the latest developments and advancements in critical infrastructure and industrial control systems. Speakers and panels will focus on educating operational and IT professionals in the electric/TD, water & wastewater, oil & gas, telecommunications, rail/transportation and industrial automation markets about global issues and solutions for remote and distributed equipment and facilities. Mr. Kantor will be presenting on recent Industrial Internet connectivity concerns that have arisen within critical infrastructure SCADA operations including increased threats from natural disasters and cyber-attacks. 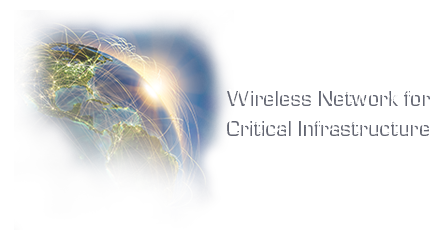 He will highlight newer solutions, including the IEEE 802.16s standard, that are helping mission-critical operators establish private network connectivity using licensed VHF and UHF frequencies. The presentation is scheduled for 1:45pm CDT on Thursday, September 13. Mr. Kantor was chosen as one of the panelists due to his work with the Institute of Electrical and Electronics Engineers (IEEE), Utilities Technology Council (UTC), the Electric Power Research Institute (EPRI) and a group of US electric utilities in developing the new wireless Industrial Internet standard, IEEE 802.16s. “We are looking forward to sharing the advantages of the new 802.16s standard with some of the top industry experts and professionals who are aware of the threats and the need for an Industrial Internet solution dedicated to critical infrastructure operators,” said Mr. Kantor.